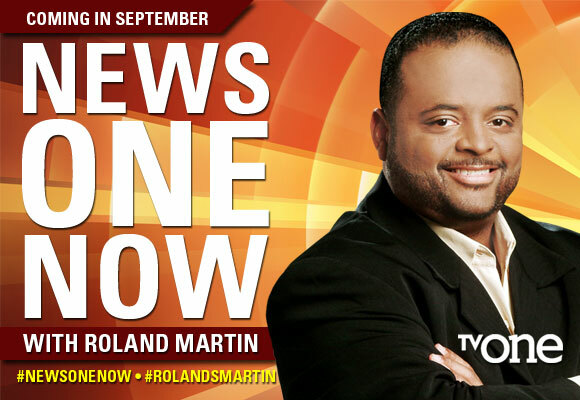 You are here: Home / News / TV One Roland Martin Pleading Our Case. TV One Roland Martin Pleading Our Case. (ThyBlackMan.com) Kudos to Roland Martin, the pioneering journalist who has taken his departure from TV One and turned it into a digital platform. He’ll be back with a daily program, but he’ll be online instead of traditional media. He has financing from AFSCME, the American Federation of State, County and Municipal Employees, and he is also hoping for funding from us, the folks who say they miss the program and say they want unfiltered news. From his website, www.rolandmartin.com, you can join his #BringtheFunk support group and help Roland bring the funk! Roland has had it with the traditional media, and he is right to point out the lack of commentators and hosts on conventional media – the networks and the “key” cable outlets. Many of those folks have to toe the line, and can’t be but so “controversial.” But sometimes one person’s controversy is another person’s truth. The corporate media squirms with journalists call our 45th President on his many lies because some of them are still currying favor with him. And unless light shines on the filth that is occurring in Washington, it will continue. Forty-five said he would “drain the swamp,” but he has become one of the world’s great alligators, profiting from his Presidency both through ties to China (even as he imposes tariffs), through his many name-branded hotels, and through all kinds of other shady deals. Chicago Crusader publisher Dorothy Leavell Chairs of the Board of the National Newspaper Publishers Association (NNPA). At the organization’s June conference, she convened a panel that focused on fake news and the Black press. I was privileged to participate with the National Association of Black Journalist (NABJ) President Sarah Glover, pugnacious attorney A. Scott Bolden, and marketing expert Deborah Gray-Young. I think that fake news is not only about the Trump shenanigans and lies, but also about that which is unreported or distorted. For example, how come every time a white person shoots up a classroom, movie theatre, or public space, the focus is on their “mental illness,” while whenever a Black person commits a crime of any sort, the focus is on criminality. Why has Rev. Barber’s Poor People’s campaign been so underreported, and why was the June 12 shackling of faith leaders outside Supreme Court wholly ignored by the mainstream (and even the sidestream) media? Why has there been so little focus on the economic status of African American people, except when 45 crows about all the improvements he has made (not) on the economy! It is a shame that the Black press is so poorly embraced. NNPA papers need ads, and they also need subscriptions, but while many of us talk a good game, we don’t sustain our press enough to help it thrive. So they go seeking ads to survive, perhaps compromising integrity while doing so. The Black press, those who plead our case, must not feel that they have to buck-dance to the whim of advertisers. Advertising, all too often, is contingent on the support of a specific position, or avoidance of controversy. Thus in launching his #Bring the Funk group, Roland is challenging African Americans who real news to support it. That means contributing a little or a lot to grow the digital platform Roland is building.